Super functional and stylish! 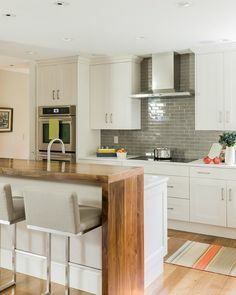 Change your cooking space with these kitchen island ideas. Looking for more space to store your new kitchen set? 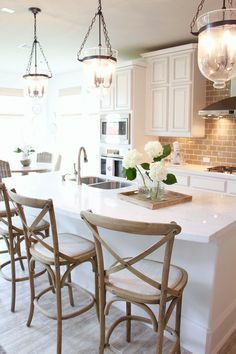 With these kitchen island ideas, you will be able to do it without losing the clean look of your kitchen. Get ready to create a great spot for nightly homework, gourmet meals, or morning coffee! 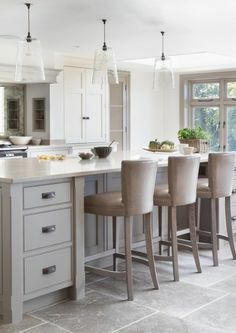 We will start by presenting small kitchen islands and show that you don’t need anything too big to create something special. 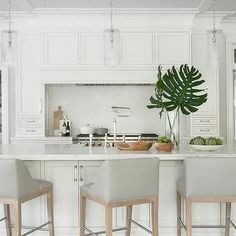 You will still get more storage space while making it look cozy and clean, without taking all the space of your kitchen. 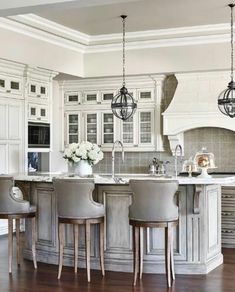 Amazingly beautiful kitchen island designs right? We think the same but we still have more. 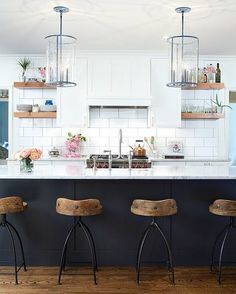 Now for those who feel like their kitchen is way to empty. 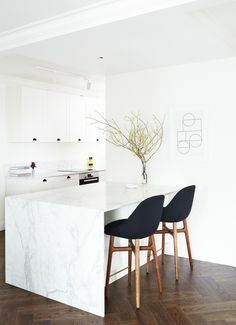 Clean, open, minimal and functional. 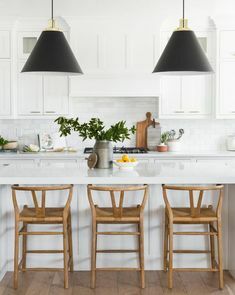 Whether you want to go full-on mid-century or have something a little more contemporary, this modern kitchen decor will certainly inspire you. 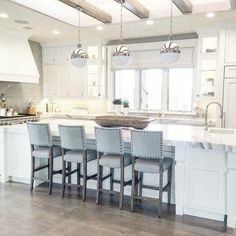 The kitchen is part of the divisions, if not the one where you spend more quality time with your family, so it must be family friendly. 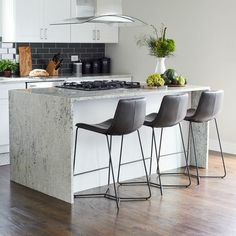 A great way to do it is by having a kitchen island with seating, which will still give you all that storage and stylish look that we talked about, but at the same time, you will be able to have your meals on it. Speaking about seating check out what comes next! 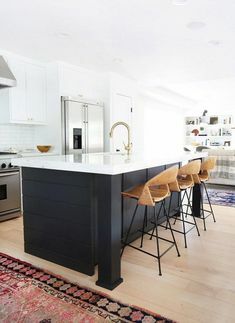 Not happy with the kitchen counter stools you saw? Don’t worry we have more options! 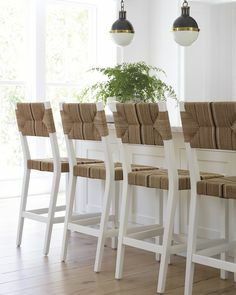 Russel bar chair delves into space-age aesthetics, being produced in creamy velvet fabrics mixed with polished brass. The base is round and swivels up to 360 degrees, providing comfort through the foot rail. Adorn your living room with a sophisticated design piece that incorporates all of the mid-century elements.